At JLD we want to make gaining your licence as simple for you as possible, so we have put together this step by step guide to help you along the way. Firstly call or e-mail JLD for forms D2 and D4, you will need to complete these to have the provisional Category C added to your licence. Make an appointment with our doctor onsite at JLD for an LGV medical and take form D4 with you for the doctor to complete. Complete form D2 which is the application for the provisional Category C entitlement to be added to your driving licence. Make sure you tick C and not C1. Send the completed D2 and D4 forms with your driving licence to the DVLA in the envelope provided. Start studying for your theory tests. Call JLD if you are unsure what training material you will require for the theory tests and we will gladly offer our advice. Everyone taking Category C will be required to take the LGV Multiple Choice questions (module 1a) and the Hazard Perception test (module 1b). On passing modules 1a and 1b you can then book your Category C training course!! Our standard course is 5 days with the test on the 5th day. On passing your Category C test the examiner will send your licence away to the DVLA to have the full Category C entitlement added to your licence (should you wish, you can send it yourself). When you receive your licence back from the DVLA they will have automatically added the Category C+E provisional to your licence. Should you wish you can now book your C+E training course. You may also require CPC depending on what you will be using the licence for? This will be either Periodic or Initial CPC. Which one will depend on when you passed your car test. Please call JLD if you are unsure. This can be done before or after passing the practical driving test. 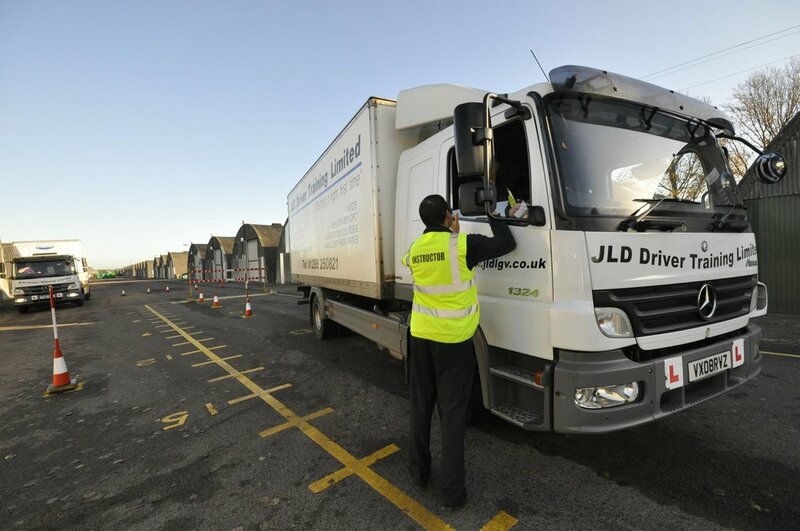 JLD Driver Training Ltd now offer packages to include all of the above to make gaining your licence as simple and hassle free as possible. Please remember that should you need any advice or have any questions along the way you can always contact JLD and we will help in any way we can!